Florida A & M University’s troubles continue to mount. It’s like a car spinning out of control as the university struggles to save face and regain its place as one of the top HBCUs in the country. James Ammons, President of FAMU, has resigned, effective October 11, 2012 and will become a tenured professor at the university. Should he have resigned when the circumstances surrounding Robert Champion’s death first surfaced? Some say that hazing has been on ongoing issue at FAMU for several years. School administrators were aware of it, but they never did anything about it. 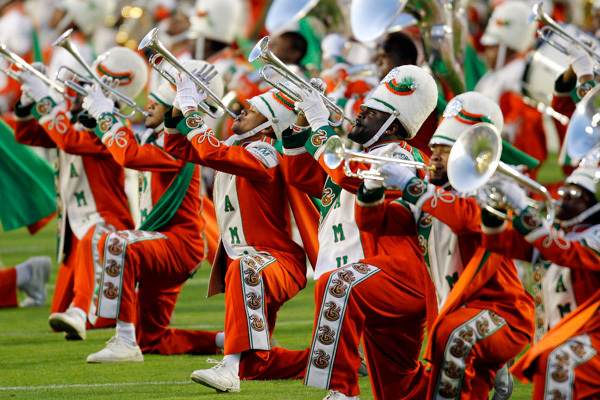 As a matter of fact, a few days before the infamous game between Bethune-Cookman University and FAMU, several band members reported that band members were being hazed and a suggestion was made to suspend the band prior to the game. But knowing how we love money and recognition, it was decided that the band would perform as planned. That’s not to say the same incident would not have happened at another time, but maybe Champion would have lived longer than he did. I have no doubt that he would have gone through the same beating he endured prior to his death, just not the night that he died. We may never know the whole story, but what we do know is that Robert Champion, a drum major at Florida A & M University, is dead.